EHR system as predictors: Fifty years ago, when EHR's were just beginning, longitudinal studies weren't available in electronic format. Although data analysis was possible, trending was difficult as so little of the data was in EHR format. Today, EHR solutions have the ability to use decades of past experience and data to spot possible trends on a national scale. EHR systems as change agents: Using data provided from trend analysis, EHR solutions can be used to convince medical staff that changes are necessary to their established protocols. Empirical evidence provided by EHR data can provide the proof physicians require to enact changes in their protocols. For example, in an article in ModernHealthcare.com, a study by Intermountain Healthcare cites a trend identified in 1999 by their EHR system showing that pregnant women and their physicians were choosing to induce labor before the the typical 39 week gestational age, which was causing an increase in longer, more complicated deliveries and newborns with medical complications. Using the information provided by the EHR guidelines were developed to reverse the trend, dropping the rate of early induction at Intermountain Hospitals from 28% to 2%. This change resulted in healthier mothers, healthier babies, and lower overall costs. 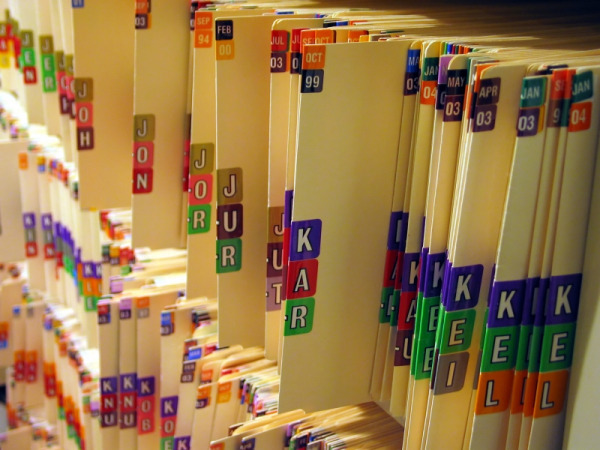 EHR solutions today can provide data in real time. This capability improves the quality of care by providing physicians the ability to proactively practice medicine, for example, recommending a vaccination based on current data, or a test based on a patient's age or history. From the 1950's medical informatics programs in their infancy to the advanced information systems that are working today to assist medical providers with improving delivery of medical care to patients, EHR solutions continue to evolve. Dr. Warner envisioned that EHR solutions would change the way medicine is practiced, but it is likely that even he is amazed at the scope of change.